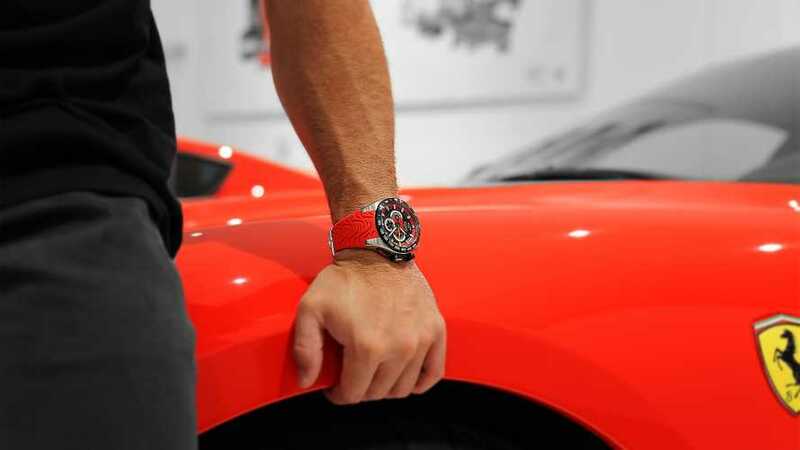 Formula 1’s premier technical artist, Giorgio Piola, has launched a new Kickstarter campaign to allow fans of the sport a direct-to-consumer opportunity that makes a collectible timepiece much more affordable AND with exclusive gifts on offer too. Piola, who has attended more grands prix than anyone in history, has launched his newest line of watches, the SHIFT collection, on a limited endeavor basis being offered first through crowdfunding site Kickstarter. Throughout the campaign, a Piola SHIFT timepiece can be had starting at $315, which is a song for a unique and storied piece of F1-inspired history. The Piola SHIFT designs feature tire tread-inspired bands, tachometers on the bezel, and four distinct colors, each with a Piola technical illustration etched into the back of the case. The timepieces are powered by a high-precision Swiss movement, are assembled in Switzerland, and proudly bear the “Swiss Made” designation on their faces. The Shift collection will be available in black, blue, green, and red, while the watch case measures 46.5 mm in width and is 15 mm thick. Your pledge will allow this exciting project to materialize, plus backers will have access not only to special discounts from future retail prices but will also be rewarded with exclusive Formula 1-inspired gifts that will perfectly complement the watch. 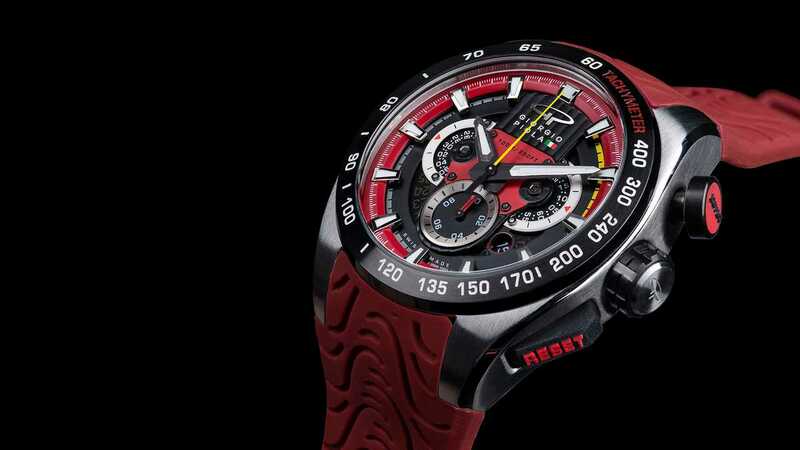 Piola says: “There are a lot of parallels between the world of car racing and the world of watches. Both are based in mechanical engineering, performance, and beauty.